The regional news had interviews with citizens on the streets earlier this week on the inevitable topic of the RH Bill. I found it strange that people would even be willing to go on air with their opinions when from their comments, it was quite apparent that few – if at all – of the respondents had bothered to read the contents of the bill. Personally, I feel that unless somebody has even bothered to make an effort to read the bill, then he or she is not even qualified to participate in the debate. After all, whatever opinions he or she forms will only be based on hearsay. For instance, where did the prevalent misconception that the bill favours abortion come from? Probably from somebody who did not read or somebody who did so but also did not understand. It does not; and at any rate the abortion law is and will stay in place. From all these, one can deduce that any funds funnelled into the implementation of the RH bill may be possibly be more productively used in the education sector and to build infrastructures that can stimulate further economic activity and hopefully create not only more but better paying jobs. Personally, I have no problems with the provisions of the bill. They are compassionate to the poor, particularly the women. My problem is with the bill’s very nature as a tool for governance along with the money that will be spent for its implementation if, as widely expected, the bill is ratified. Essentially there are two main sides to the bill: responsible parenthood leading to population control and health care related to the biological aspect of human reproduction. The provisions related to health care are only but appropriate. That is just government taking care of the welfare of its citizens as is expected in a civilised society. It is the population control aspect of it which promises to make the bill essentially a toothless law once it is ratified. The tag line ‘informed choice’ encapsulates the bill’s approach to the problem of population growth. In contrast, try comparing this bill with China’s one-child policy or even the soon-to-be sin tax law. The latter leaves smokers with no say whatsoever in the matter and thus in a manner of speaking is all teeth as legislation. 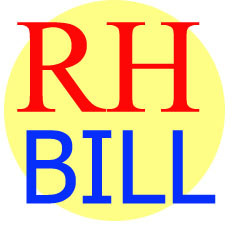 As a government strategy to gain control over population growth, the approach of the RH Bill is really quite poor. It hopes to bring down the growth rate but, since family size is to remain a matter of choice for couples, then nobody really knows if at all it will. In other words, there is no guarantee that access to information and methods for family planning will actually make couples choose to limit the number of children that they will have. In fact, I am oftentimes mortified by all the energies being expended by those in the Church in fighting the bill because they only announce to all and sundry that they are quite uncertain about what people will choose. If the Church is secure in the religiosity of the faithful, then what is all the noise all about? In short, I feel that all that the Church has achieved is to put into test its own strength or fallibility as an institution. Couples who are better educated and have better jobs will probably resort to contraception as well to limit the number of children that they will have; but it will be at their own expense, not the government’s. Unless the RH Bill – when it becomes the Responsible Parenthood Law – can actually convince couples to have fewer children and therefore help meet population targets, then it really becomes something toothless. Its most persuasive selling point of ‘informed choice’ then also becomes its weakest point as well because in choice there is uncertainty – or, at least, in expected outcomes related to economic targets. When one considers that an estimated 3 billion pesos is needed for the implementation of the RH Bill, then one starts to scratch one’s pate. We – the taxpayers – will then be funding a law that may even turn out to be a waste of money if it fails to bring down the population growth rate. To be fair, it can also work. That said, the entire matter of the bill has been as divisive as issues can get; and especially so since in essence government has taken a massive gamble on something that nobody really knows will curb population growth. It is also not as though there are no other alternatives. The correlation between poverty and large families, while not fully established empirically is nonetheless observable in slums in many parts of the world. From this, one can infer that to decrease poverty will also mean to decrease the population. Therefore, it appears that there is no more effective contraceptive than a job; and, indeed, studies seem to show – in women in particular – that those who are better educated and have better paying jobs also tend to want fewer children. This can probably be explained by the cost of lost opportunity that women have to deal with if they bear children along with the desire to provide more and better quality lives for fewer children. From all these, one can deduce that any funds funnelled into the implementation of the RH bill may possibly be more productively used in the education sector and to build infrastructures that can stimulate further economic activity and hopefully create not only more but better paying jobs. Three billion is a pittance compared to the budget already allocated to the education sector. Yet, the shortcomings of the education industry in this country are well documented. Such an amount can also be used to build infrastructures where communities are most impoverished. To conclude, while I do not wish the RH bill to fail, neither do I wish for it to one day be a law that ultimately turns out to be a waste of precious funds. Informed choice is democratic. I just hope it does not also become an expensive mistake.